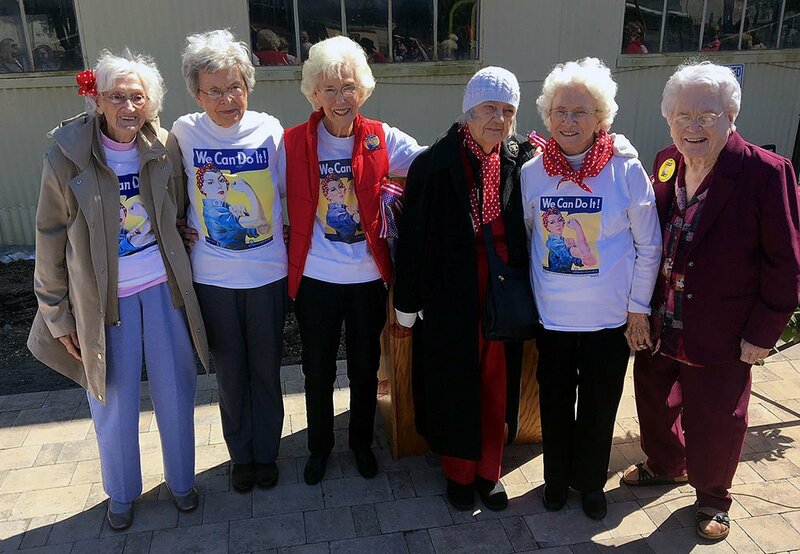 Not all of America's Rosie the Riveters were actual riveters, however those who are still alive more than 70 years after the end of World War II have riveting stories to tell. 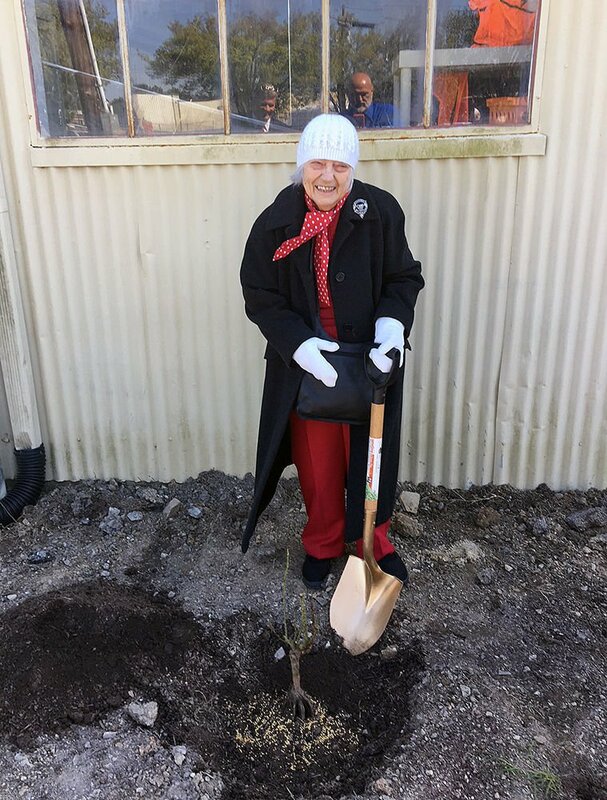 Thursday afternoon, Rome recognized six local women during special living memorial rose bush planting ceremonies in front of the Museum of Flight at Richard B. Russell Airport. Keep Rome-Floyd Beautiful Director Mary Hardin Thornton said plans are to add to the garden annually. Nellie Woodall helped build B-29 aircraft; Jane Tucker helped weld warships; Jane McJunkin worked in an airplane factory in California; Louvinia Jordan was a code breaker in Virginia; Betty Ann Ware Harris said she rolled bandages for the Red Cross and Joy Mitchell worked at the old Battey General Hospital tending to soldiers injured during the war. "They were part of a workforce wave that rocked the world," Thornton said. The Girl Scouts of America are partnering with groups across the country to plant Rosie the Riveter Memorial Rose gardens in every Congressional District across the nation in advance of the 75th anniversary of the end of World War II in 2020. Locally, the Master Gardeners of Floyd County also assisted with the planting of bushes that were provided by Pine Ridge Outdoor Supply in Lyerly.